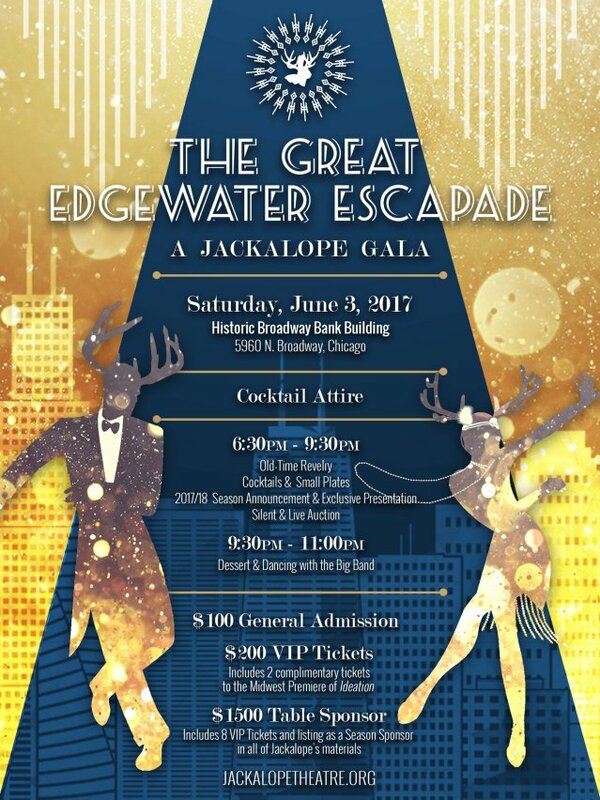 Jackalope Theatre, a company founded and led by Columbia College Chicago Theatre Department alumni, will take over the Historic Broadway Bank Building at 5960 N. Broadway, in Chicago’s Edgewater neighborhood, for “The Great Edgewater Escapade” on Saturday, June 3, from 6:30 to 11 PM. 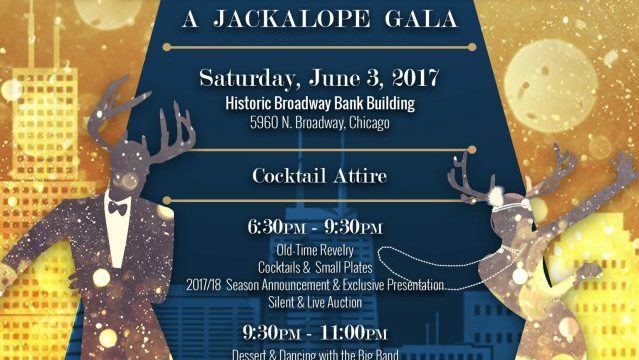 This gala benefit for Jackalope will feature cocktails, food, performance, an announcement of the group’s upcoming season, and dancing with a big band, as well as a silent and live auction. Tickets range from $100 general admission to $1,500 for VIP tables of eight. For more information, click here. 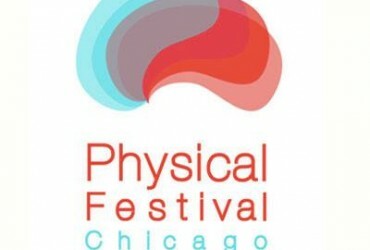 Jackalope’s current production — the Midwest premiere of the critically acclaimed play Ideation, by Aaron Loeb — runs through June 17 at Broadway Armory Park, 5917 N. Broadway, in Chicago’s Edgewater Theatre District. 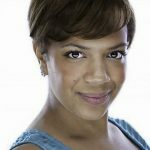 The cast of Ideation includes Columbia College Theatre Department alumnus Kaiser Ahmed ’08, a graduate of the Theatre Department’s Theatre Directing program. Ahmed is also Jackalope’s co-founder and associate artistic director. 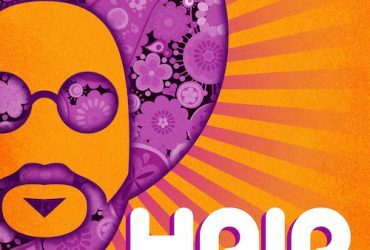 The play is directed by former Columbia College Theatre Department student Gus Menary, Jackalope’s artistic director. His production team includes Columbia College Theatre Department alum Claire Sangster ’12, a graduate of the Theatre Design BA progam (master electrician), as well Sabina Dzelilovic, a current Columbia student in the Theatre Directing BFA program (dramaturg), and Sasha Smith, a former student in the Theatre Department’s Acting BA program (fight choreographer). 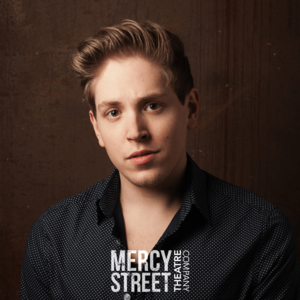 The production’s graphic designer is Columbia College alum Jake Fruend ’13, a graduate of the Theatre Department’s Theatre Directing program. This darkly comic psychological suspense thriller concerns a group of corporate consultants working together on a mysterious and ethically ambiguous project. As the lines between right and wrong are blurred, these characters must navigate the cognitive dissonances and moral dilemmas to decide for themselves if everything is as it really seems. For tickets, click here.